Lately, I’ve had a salad almost every day. Something about romaine lettuce, spinach, kale, etc. just seems to draw me. Add the Spring Mix and the Power Greens to a large bowl. 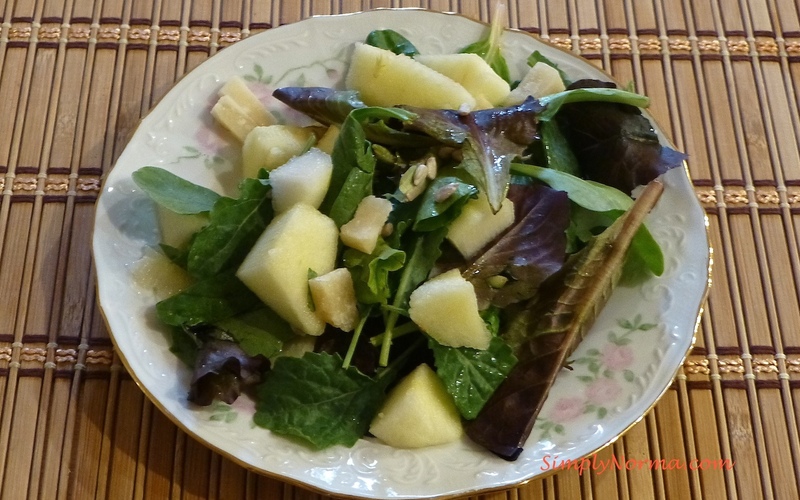 Squeeze a little lemon juice over the apples and pears and toss with the greens. This will keep them from turning brown. Add the parmesan cheese and toss to blend it all together. 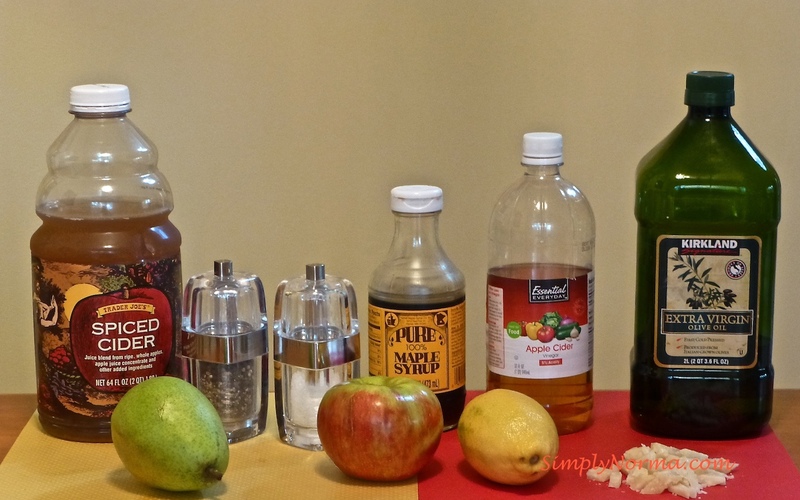 In a small bowl, combine the cider, cider vinegar and maple syrup then add the oil and whisk it all together. Add salt and pepper to the dressing and stir to combine. That’s pretty much it! Serve the dressing on the side so that you can save any leftover salad — otherwise it will be soggy later. This recipe was adapted and paleo-ized from an Orchard Salad by Rachael Ray.